A location with perfect connections. 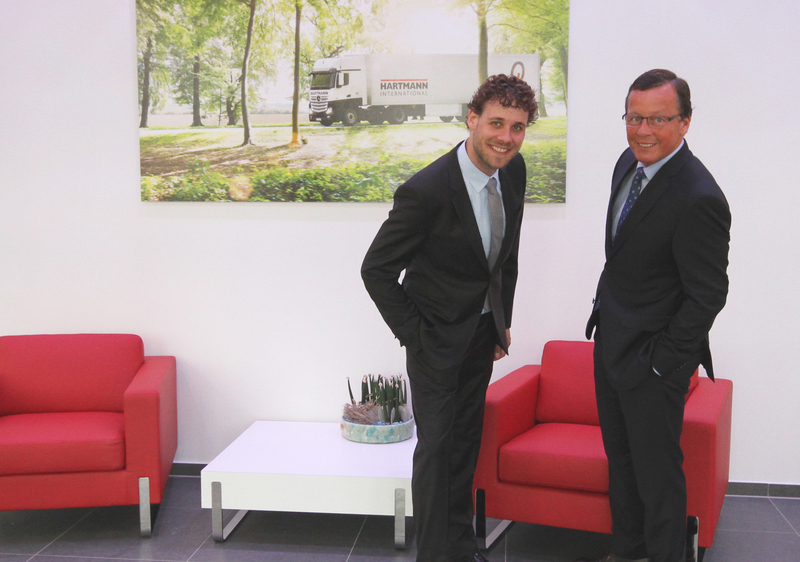 Since the takeover of the freight forwarding trade in Ibbenbüren in 2010, we have successfully established ourselves at the Ibbenbüren site. As it was not possible to expand the previous operating premises, we decided to construct a new site at the Schierloh industrial estate. Following eight months of construction, the move was finally completed in September 2014. Situated right by the A30 highway, near the Ibbenbüren West approach and also in close proximity to the Netherlands as well as both domestic and sea ports in northern Germany, we now operate with 19,375 sqft of floor space. This includes 43,000 sqft of transshipment space, block and high-bay storage as well as 10,763 sqft of offices and communal areas. We employ around 50 employees at Ibbenbüren, all supported with state-of-the-art technology. From barcode-supported shipment tracking to an innovative LED lighting system that adapts to suit the human circadian rhythms in the office. The system also ensures that the logistics warehouse is not lit up as bright as day during the night and also makes it easier to work day and night shifts. Every night our logistics specialists transship your goods in the hundred metre-long building, so that they can be distributed throughout Europe quickly and safely. 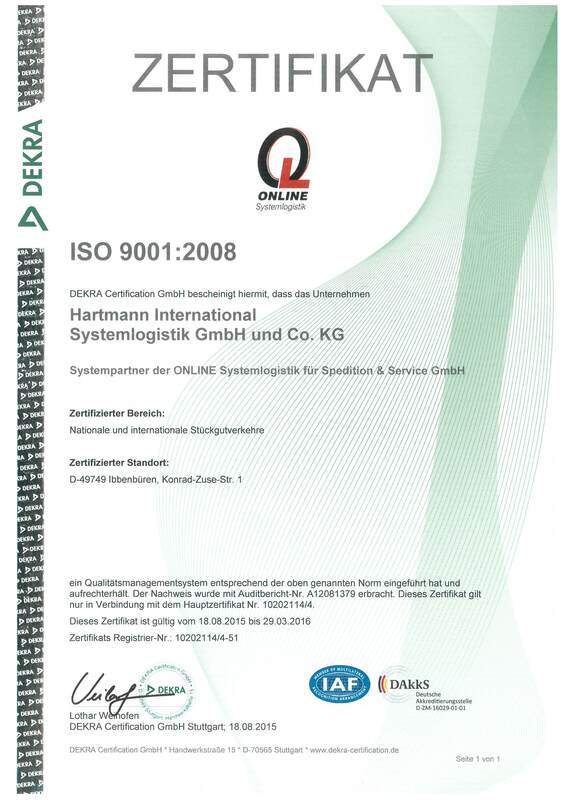 The distribution of goods works at its best thanks to the general cargo cooperation we developed ourselves, ONLINE Systemlogistik. 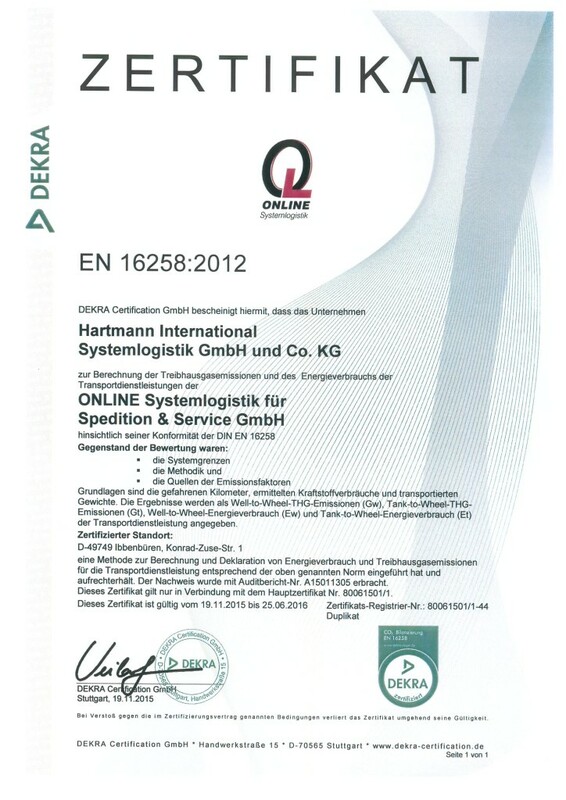 Within ONLINE Systemlogistik, 78 medium-sized business with a total of 5,600 employees serve the European market every day. Tracking & tracing – a web-based facility to keep you up-to-date with the progress of your shipment! 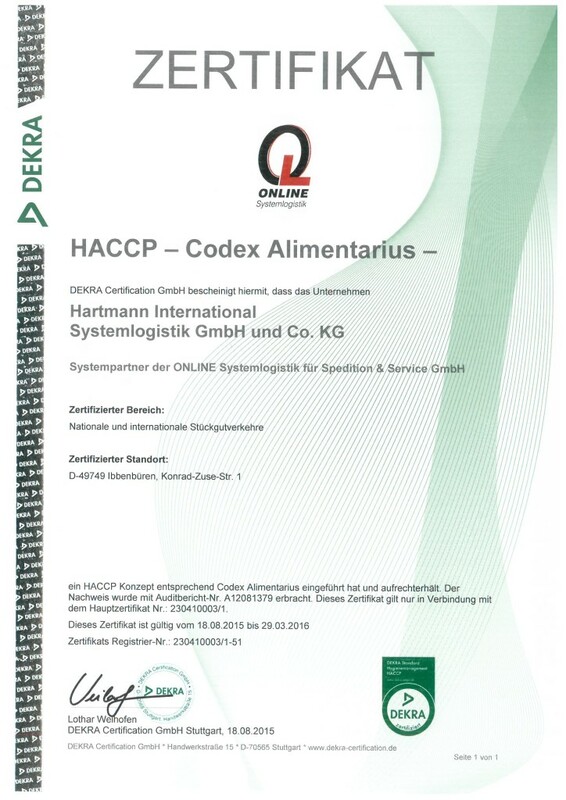 Take a look at our certifications.